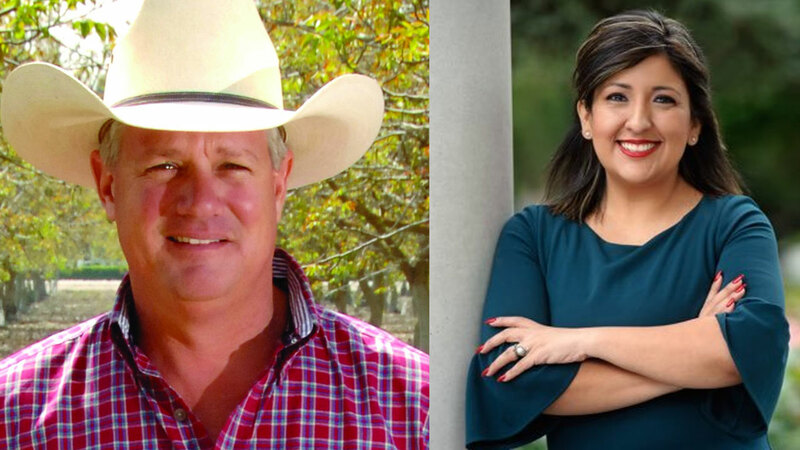 FRESNO, Calif. (KFSN) -- The race for the state's 14th Senate District seat pits incumbent Andy Vidak, a Hanford Republican, against Democratic challenger Melissa Hurtado, a member of the Sanger City Council. This is Vidak's third run for the seat he's held since 2013. The 14th Senate District includes all or portions of Fresno, Kern, Kings and Tulare counties. Andy Vidak was born in Visalia, California to Kathy and Jim Vidak. Andy's father, Jim, is the long-time Tulare County Superintendent of Schools. He has worked closely with agricultural advocacy groups such as Families Protecting the Valley. He's also taken leadership roles in developing new approaches and solutions to the water, economic and regulatory problems that hamper our Central Valley. As a healthcare advocate, Dem. Melissa Hurtado works to protect Medicare, Medi-Cal and health insurance for children (CHIP). She fights for funding to expand clinics and hospitals, bring down drug prices, and educate our communities about how to stay healthy.